The Young Readers’ of Western Australia have spoken and their votes have been tallied. This years our results are extra special. 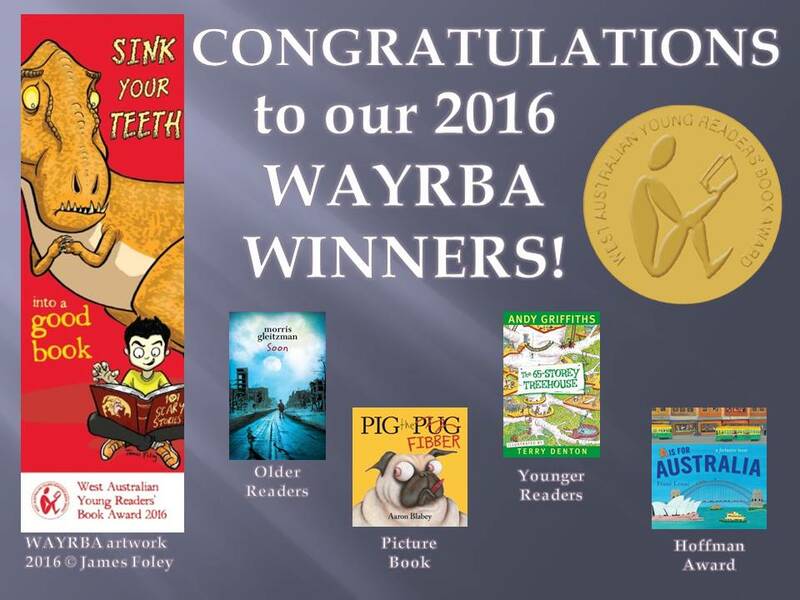 WAYRBA is open for nominations from both Australian and International Authors, but the Young Readers’ of WA have decided that Australian books are best!! The Committee wishes to congratulate all of our winning authors.